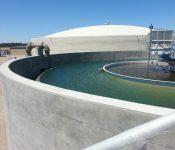 In October 2013, the Woodland-Davis Clean Water Agency (WDCWA) awarded a $141M design-build-operate-finance contract to Jacobs for the design, construction, and long-term operation of a new 30-mgd surface water treatment plant and nearly 13 miles of pipeline to begin treating water from the Sacramento River. Following a qualifications-based shortlist and issuance of a request for proposals, two of the three shortlisted teams withdrew from the procurement due to the strict budget limitations and technical requirements. Jacobs subsequently worked directly with the Agency to convert the project from a lump-sum contract to an open-book lump-sum contract, which resulted in approximately 20% reduction in capital costs and 10% reduction in overall net present value (NPV) when compared to Agency cost estimates. The contract for the Woodland-Davis facility was an integrated design-build-operate-finance contract, in which Jacobs held full responsibility for all design, permitting, commissioning, project management, and long-term operations of the new facility, plus construction financing for a portion of the capital cost value through the acceptance test. • DB/PDB of Municipal W/WW Treatment/Conveyance. The Davis-Woodland Regional WTF is a good example of Jacobs’ commitment to making the PDB process work under challenging circumstances. In June 2011, the WDCWA was faced with a dilemma—two of the three shortlisted teams for the project bowed out, unable to deliver the project under its rigorous terms and cost limits. Jacobs submitted an innovative cost and technical proposal that led to service contract negotiations and ultimately the contract award. To meet the project requirements, Jacobs maximized the benefits of DB delivery by closely collaborating with the WDCWA to jointly define a total DB price of $141M. • Coordination with Other Interfacing Projects/Bypass Planning and Installation. Coordination with third-party projects was of critical importance for the Davis-Woodland Project. 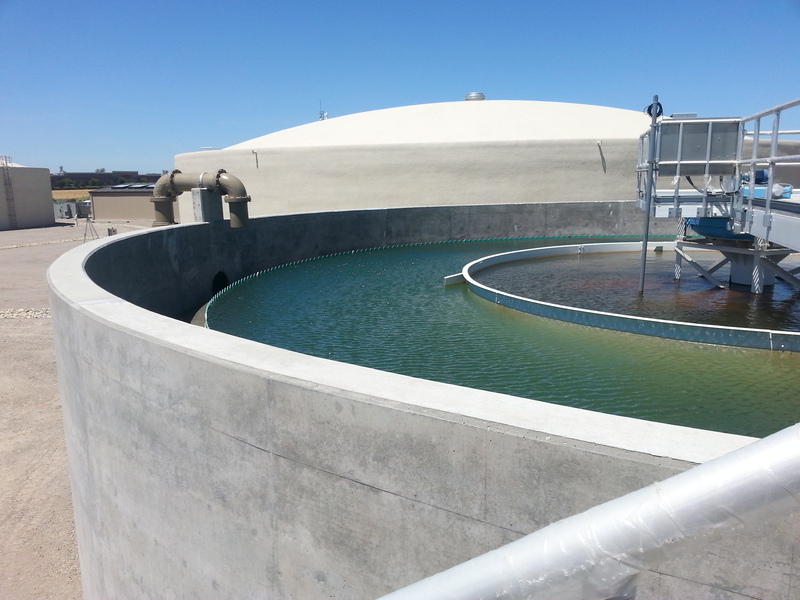 Raw water for the project comes from the Sacramento River, and construction of the raw water intake structure was performed under a traditional design-bid-build contract by a third-party contractor. 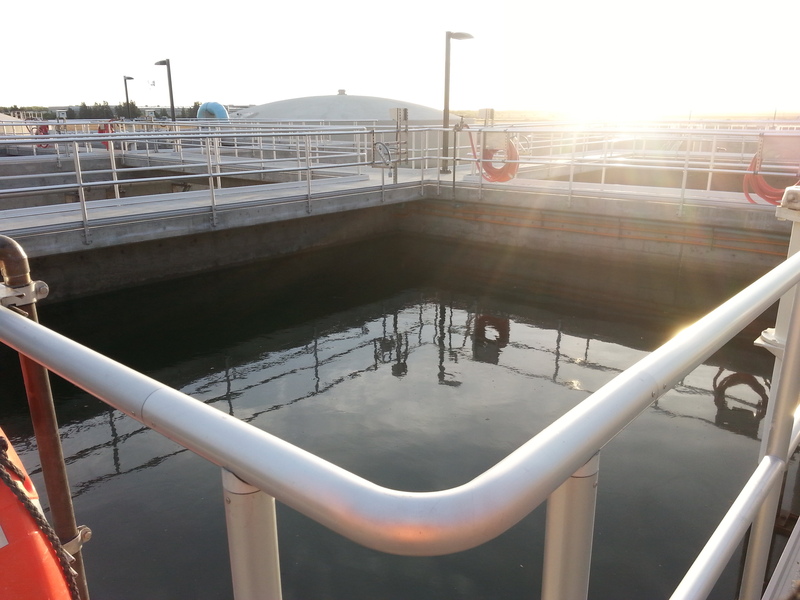 When completion of the intake fell behind schedule, Jacobs installed temporary raw water pumps to supply river water for startup and commissioning of the new regional water treatment facility. This allowed our team to maintain startup and testing activities without jeopardizing the project schedule. • Integration of Designers into Construction. Jacobs’ approach for integrating designers into construction involved transitioning an engineer who helped design the project to serve as resident engineer in the field. This paid benefits when our resident engineer discovered that the WDCWA’s preferred pipeline alignment would cross a Yolo County fiber optic telecommunications line. Rerouting the pipeline would have incurred significant expense and potentially delayed construction. To meet this challenge, Jacobs met with Yolo County officials, who preferred relocation of the fiber optic line miles away from the original location, a less expensive, simpler, and more efficient solution that provided much higher value to the County. • Startup, Commissioning, and Acceptance Testing. Although occurring last in the timeline, developing a well-defined commissioning plan was one of the first tasks initiated during design development. Achieving buy-in from all project delivery participants—including the Agency, Jacobs, and subcontractors—helped establish timely and effective communication, collaboration, and issue resolution when executing the commissioning plan. During peak activity, more than 160 craft labor personnel were onsite, which required precise daily and long-term planning, careful management of site logistics, sequencing of work crews, and management of construction equipment to mitigate site congestions to reduce site congestion. • Expedited Design Packages: Expedited development and approval of design packages for early construction work set the stage for ahead-of-schedule performance on the DWWSP. With exclusive subcontractor input, Jacobs planned early work packages, which allowed for an early start to construction. • Compressed pipeline construction schedule: To protect the California giant garter snake habitat while still maintaining construction progress, Jacobs developed a construction schedule to complete pipeline installation within a five-month timeframe. Meeting this compressed schedule required pipeline installation via the “weld after backfill” approach. After pipe segments were fit together and joint coatings installed, trenches were backfilled, and joints welded from inside the pipe. This reduced the trench size needed and expedited installation. 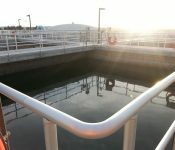 Completed four months ahead of schedule in September 2016, the Davis-Woodland Water Supply Project (DWWSP) was awarded the 2016 Design-Build Institute of America Project/ Team Award for water/wastewater projects.